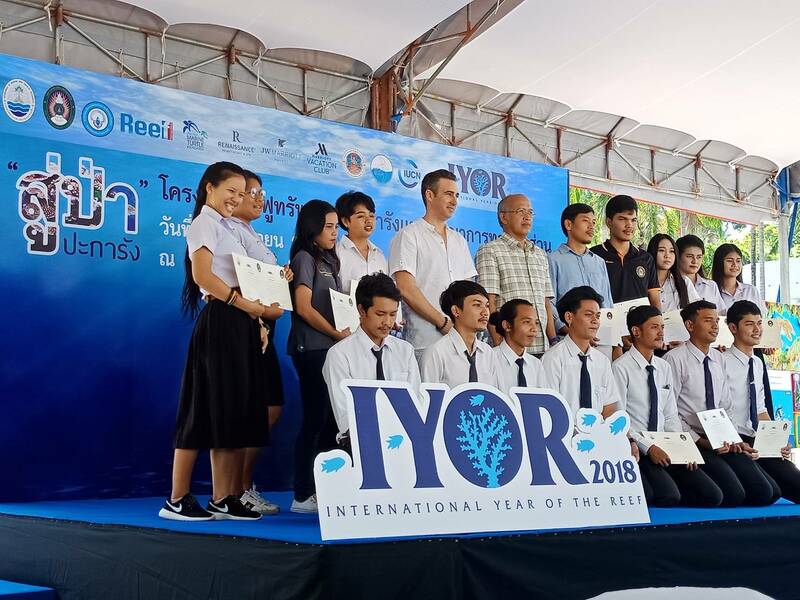 The Department of Marine and Coastal Resources in Thailand have been getting stuck in to IYOR 2018 celebrations with a series of events! During the period of 8th-10th March 2018, the Department of Marine and Coastal Resources (DMCR) joined the Tourism Opening Festival at Tao Island, located in the Gulf of Thailand. This event was held by local governmental organisations in collaboration with local environmental activists/clubs. On the first day, a healthy green turtle which had been healed after injury was released back into the sea. On the last 2 days, the event featured an exhibition of environmental conservation issues. Green Fins also exhibited its system of reef conservation via environmentally friendly diving tour operators. 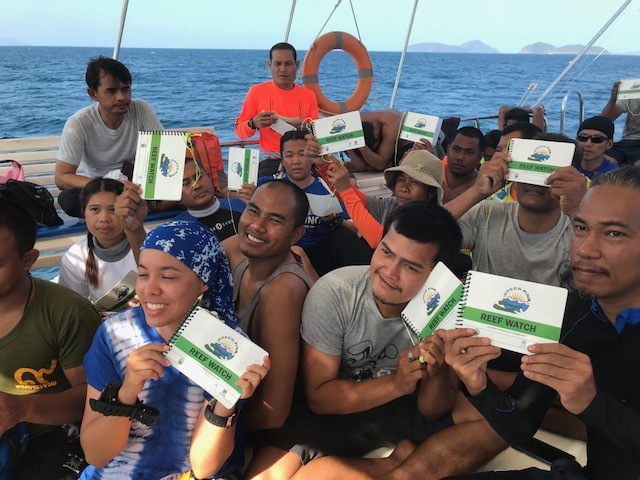 IYOR 2018 was publicised during the event and Reef Watch training was also given to 30 divers. 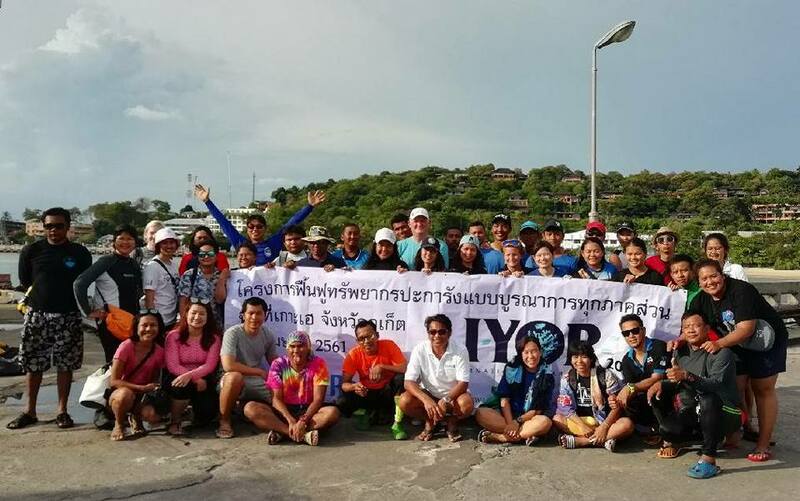 To celebrate the IYOR 2018, on 26th March 2018, the Department of Marine and Coastal Resources (DMCR) organised Reef Watch training at the Marine and Coastal Resources Management Office, Phuket. About 25 volunteer divers joined the event. These volunteer divers gained significant experience of the DMCR’s reef restoration methodology. Learning how to conduct Reef Watch will increase their capacity for working on coral reefs. To mark the IYOR 2018, on 5th April 2018, the Department of Marine and Coastal Resources organised a Reef Watch training session, one of the core activities of the Green Fins project, at the Chulabhorn Underwater Park Conservation Centre. Eighteen volunteer divers joined the event. 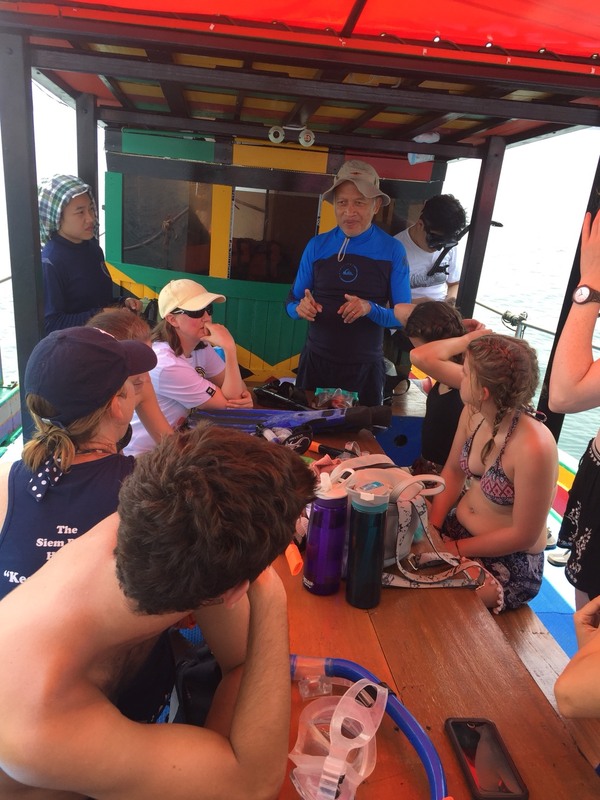 These volunteers included environmental activists working for a Chulabhorn Underwater Park Conservation Centre project and student interns from Global Vision International (GVI). They learned general reef ecology and Reef Watch methodology in a lecture room and took part in field work. Phuket Marine Biological Center (Department of Marine and Coastal Resources) in collaboration with Phuket Rajabhat University and Phuket JW Marriott Hotel organized a reef restoration activity on 28th April 2018. 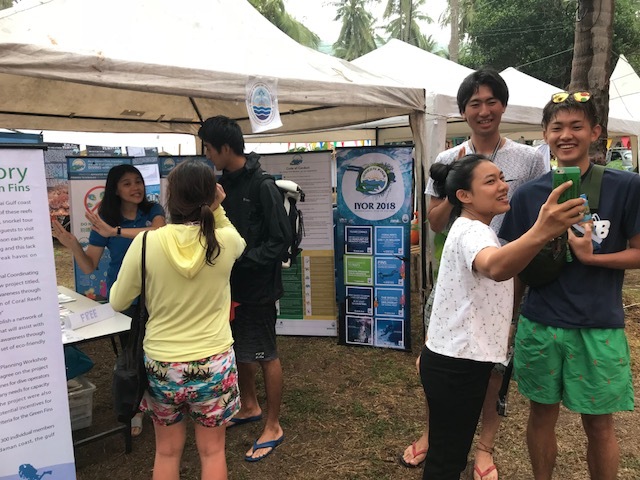 It was an event that experienced volunteer divers had the opportunity to join, in celebration of the IYOR 2018. Around 5,000 small-sized, living coral fragments were collected and transplanted onto the same reef at Hae Island (near Phuket Island). These coral fragments had earlier been found broken as a result of wave action and tourism-related activities. These young corals had a reduced chance of survival, therefore transplanting them onto firm substrate, in a more suitable reef zone will significantly increase their survival rate, which will in turn accelerate reef recovery. During this event, awards for watercolour paintings and batik craftwork related to reef conservation were also made.